We were unable to find any upcoming Super Bowl events. Just writing those three words conjures a myriad of images in the mind. The ultimate NFL experience. The best team from the American Football Conference (AFC) matching up with the best team in the National Football Conference (NFC). To hold tickets to this game in your hands must be an incredible, and indelible, feeling. According to Entertainment Weekly, the 2014 Super Bowl was watched event by 111.5 million people, which begs the question, is it even three words anymore? 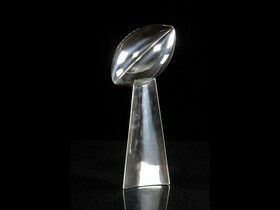 Should it just be, THE SUPERBOWL? Think about it. The Super Bowl is the most prized ticket in all of sports. Even the football’s biggest detractors would have a difficult time turning down a chance to attend this event, because it is way more than just a game. It is a spectacle. From the pre-game festivities to the singing of the National Anthem to the halftime spectacular which always features some of the biggest names in popular music, the energy surrounding the Super Bowl is incredible. In fact, it is practically a holiday weekend in the United States, and there has even been a number of legislators who have proposed that the following Monday should be a national holiday. To date, there have been 48 Superbowls in 24 different stadiums, and from the very first one which featured the Green Bay Packers triumphing over the Kansas City Chiefs at the Los Angeles Memorial Coliseum in 1967 to 2014’s blowout victory by the Seattle Seahawks over the Denver Broncos in East Rutherford, New Jersey’s MetLife Stadium, each one has been special. In fact, only four NFL teams have not made the big game. They are: the Cleveland Browns, Houston Texans, Jacksonville Jaguars, and the Detroit Lions. Someday, Lions fans, someday. For many of us, it seems as if the Super Bowl has always existed, but prior to the merger of the National Football League and the American Football League, which was finalized in 1970, there was no such thing. The late Lamar Hunt, owner of the Kansas City Chiefs, coined the term “Super Bowl” while the two leagues were determining how a champion would be crowned as they were finalizing the merger details. It did not, however, become the official moniker of the game until after what we now consider to be Super Bowl V.
In those first few years, many NFL fans did not take teams from the old AFL very seriously after two consecutive blowouts by the Packers, but that all changed after a young gun slinger from the New York Jets named Joe Namath dramatically predicted that his team would take down the vaunted Baltimore Colts in Super Bowl III. As all football fans over 45 know, he was right. After that, the AFC has held their own, except for a 13 year drought from 1985 to 1997 where the NFC dominated play. For the diehard fan looking to attend one of the upcoming Superbowls, you might not want to read the next line. The average ticket price for those first few games was $12. Talk about cheap tickets! To put that in perspective, at the most recent game in New Jersey, that very same $12 would buy you and your companion one soft drink each or allow you to share a single cold beer. If we take that one step further, the average ticket prices for the last three or four Super Bowls have been in the $900 to $1000 range. While some might be quick to point out inflation as one of the causes of this dramatic rise in ticket prices, they would only be slightly correct. The NFL is more popular than ever and the Super Bowl is THE game to go to if you are a spectator, which has driven up both demand for tickets and ticket prices. Case in point, the last five Super Bowls are the highest rated television events in history, and as we lead up to Super Bowl LII (52), in 2018, it is hard to imagine those ratings diminishing even slightly. For some, they tune into watch the commercials and could care less about the game, but to the majority, it is an opportunity to align yourself with a team or a player that you can root for and let it all hang out. When your favorite team makes it to the game, well, as the TV mobsters say, “fuhgeddaboutit.” It is the epitome of being on pins and needles for an entire day, living and dying with every play, and cheering for your team to score. Imagine what it would be like to not only go the game, but also be able to see your favorite team play in it. SuperBowl tickets are hard to come by, though, with only 500 to 1000 being released to the public for each game and there are steps involved if you wish to be one of the lucky few that actually get to purchase a ticket from the NFL. Interested fans need to send a certified letter stating your intention to buy tickets to the league office between February 1 and June 1 to get the opportunity to attend the following year’s game. You can only send in one letter per address, so there is quite a bit of luck involved with this process. Typically there is also a lottery system for fans who have season tickets at the host stadium, but even then, this gives the season ticket holder only slightly better odds of actually being able to purchase tickets directly from the NFL and this lottery does not take place until one to two weeks before the Super Bowl itself. Ultimately, for most fans who want to buy Super Bowl tickets (and in most NFL cities, football tickets in general), the best route to ensure getting to attend the big game is to go through a reputable ticket agency which will guarantee that tickets purchased are legitimate. The dark side of the big game, unfortunately, is that every year, there are literally thousands of counterfeit tickets made available by people who want to cash in on desperate fans. While law enforcement and the NFL do all that they can to stop this from happening, some fans still ultimately end up being turned away at the door for possessing counterfeit tickets for which they might have paid thousands of dollars. With proper planning, a lot of luck, or for the more surefire approach, the assistance of a reputable ticket broker, Super Sunday can be just that, and you’ll be off to the Super Bowl making memories of your own. CheapTicketsASAP.com acts as an intermediary between buyers and ticket sellers to facilitate the purchase and sale of Super Bowl tickets, and as such is not directly involved in the actual ticket sale transaction between the buyers and TICKET SELLERS. All sales are final. As tickets sold through CheapTicketsASAP.com are often obtained through the secondary market and prices are determined by the individual seller, the prices for tickets may be above or below face value. Super Bowl Tickets sold through CheapTicketsASAP.com are from a third party; therefore, the buyer's name will not be printed on the tickets. Tickets may be sent by email when stated so. Please note that the name on the tickets does not affect the buyer's ability to access the Super Bowl event.